Come listen to the heart-felt story of a man who grew up in a world of temptation and his struggle to find the Truth. Let us learn how hard it is for some on their journey to the right path. A Young Man from Samarqand, Uzbekistan shares his blossoming tale of exploration and self reflection on his journey towards Allah. 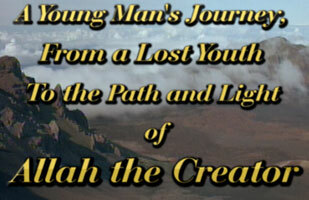 Let us join him as he reveals the secret of how he found peace and true belonging in a place far away from home. 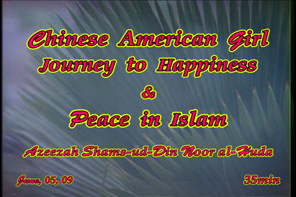 A young Japanese girl (Seiju Islam) discovers Islam unexpectedly during her experiences in America. Seiju takes us step-by-step through her amazing transformation. A young girl 22 years old, searching for guidance and happiness. It might benefit you, see it! [Advice] For all young girls, please Watch! 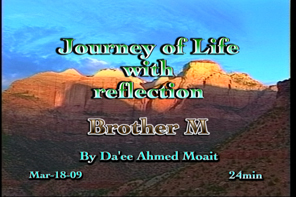 One on One interview with Brother M by Daee Ahmed Moait. A Young Girl's Journey From Darkness And Confusion To Light And Bliss. Brother M One on one interview with Azeezah Shams-ud-Din Noor al Huda Reflection & Experience of 8 days into Islam.